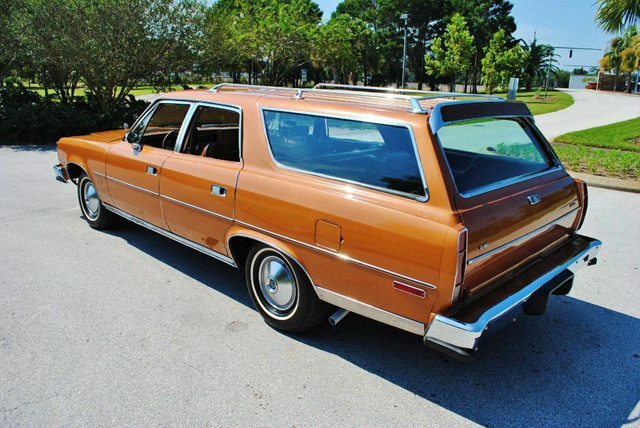 I’m going to go out on a limb and call this the finest 1977 AMC Matador station wagon in existence. 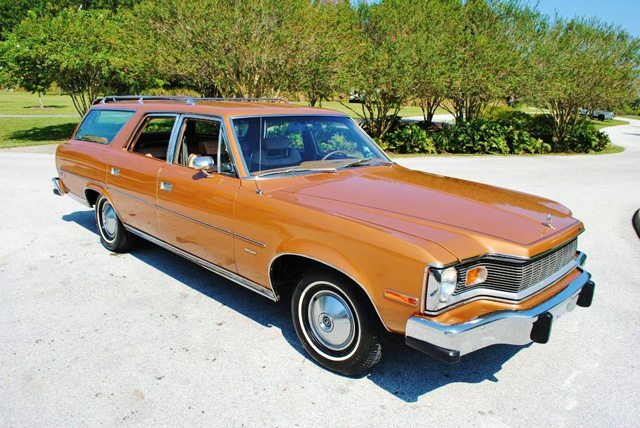 After all when was the last time you’ve seen a Matador wagon, let alone one that is this pristine. 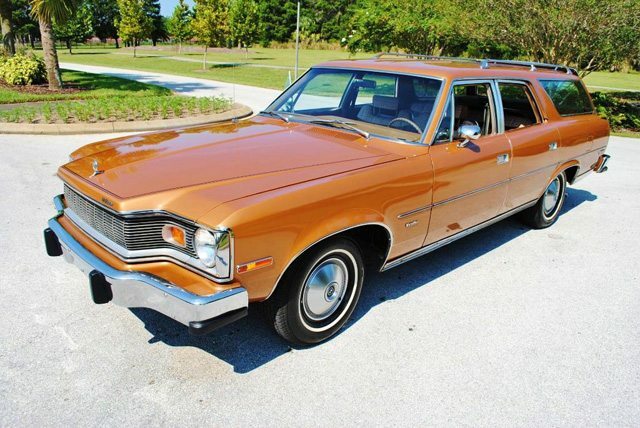 From the exterior color which is officially named ‘Tawny Orange’ to the plaid interior the car just screams 1970’s. 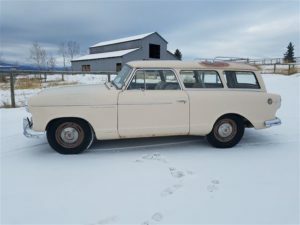 This 55,000 mile example found on ebay is a 9 passenger wagon equipped with the optional 304 V8 and automatic transmission. 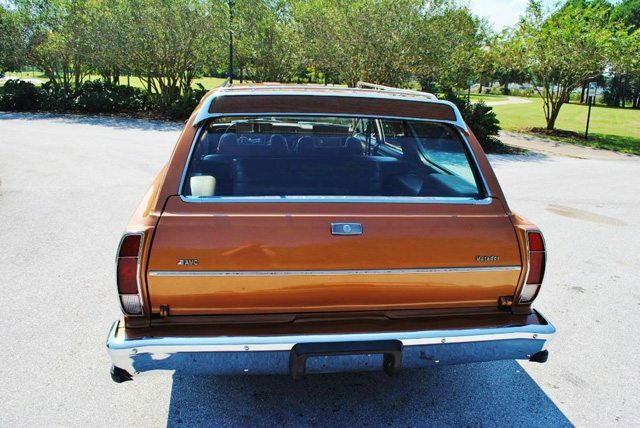 Additional options include factory air conditioning, full wheel covers, roof rack and an AM/FM radio. 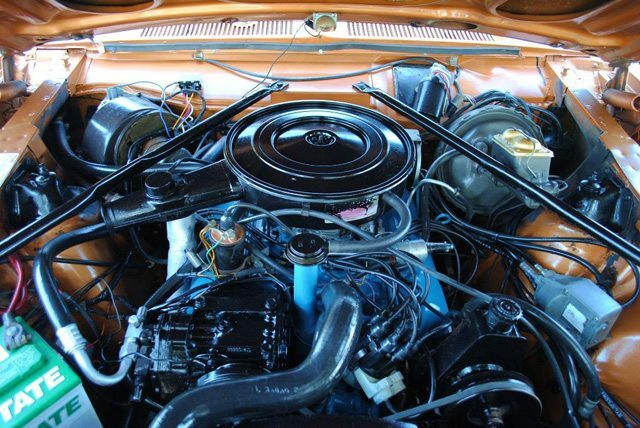 The seller states that everything works inside and out and that it drives like new. 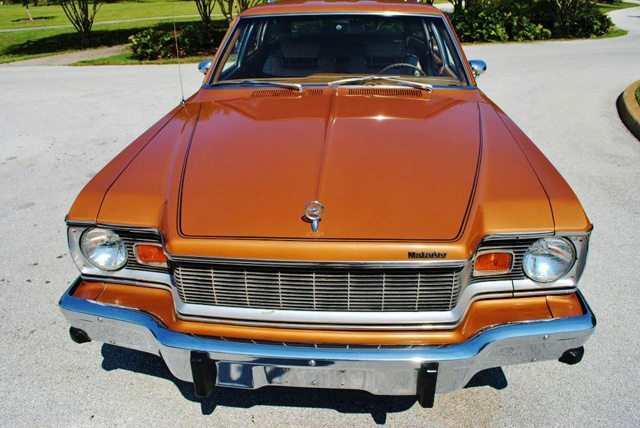 All the body panels and brightwork are described as perfect. The ‘Unleaded Fuel Only’ sticker still intact. 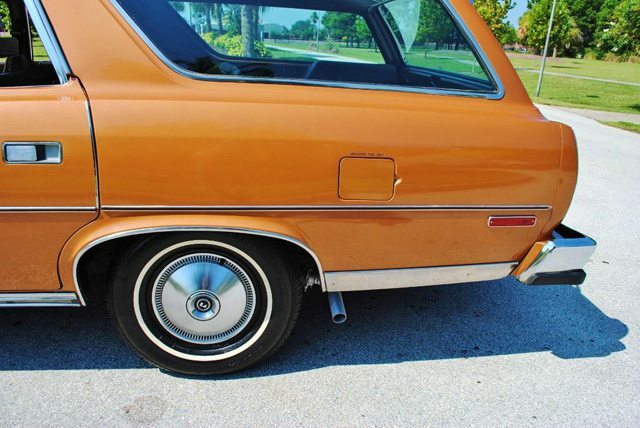 A testament to the original condition of the car. 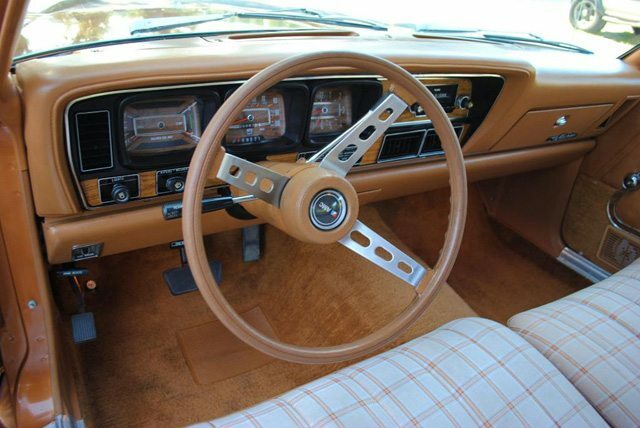 I remember these peeling away within a couple of years of driving. 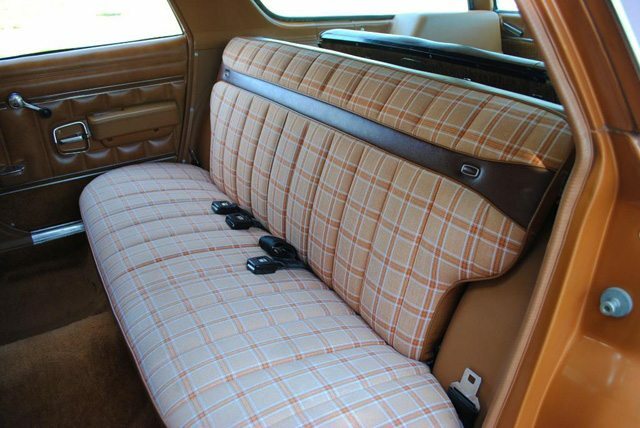 Put on your polyester and you’re good to go! 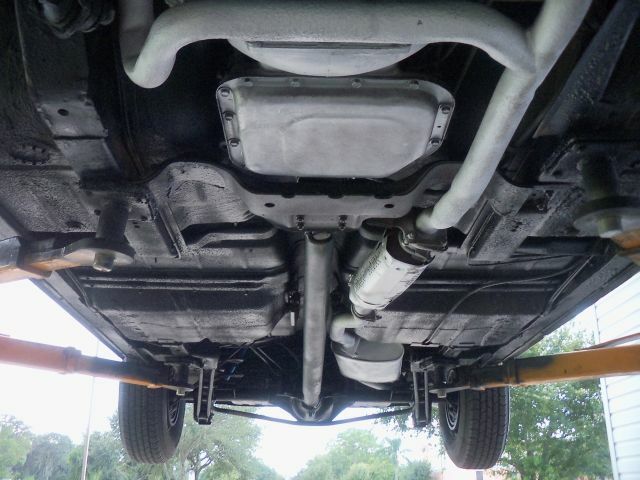 Engine compartment and undercarriage look almost as new. 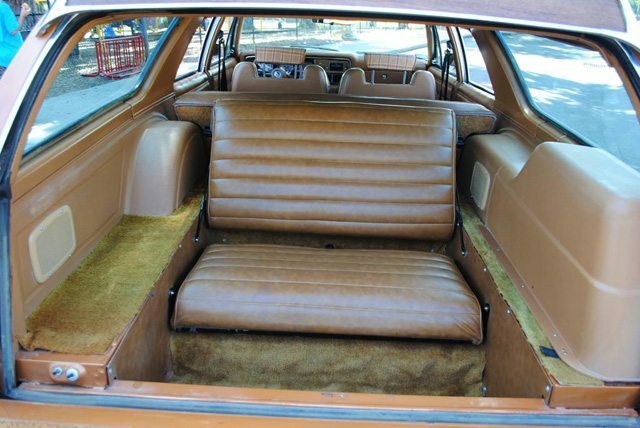 This is a good example of AMC workmanship. 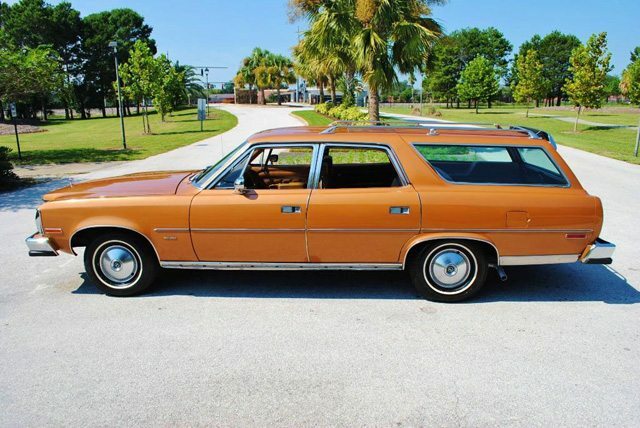 I had an AMC and the only thing I did not like about it was the carpet sun faded very fast. With in two years of buying new. the color had faded out. 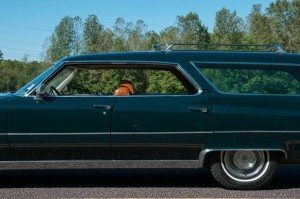 Otherwise a great ride of a car. Beautiful looking car. 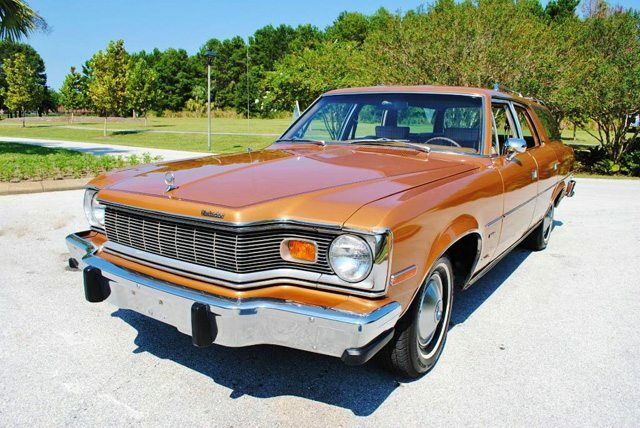 I’ve always liked the AMC Matador sedan and wagon from 1974-1977. 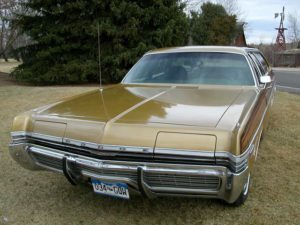 I’d buy a sedan version if I had the money, and could find one in good condition. 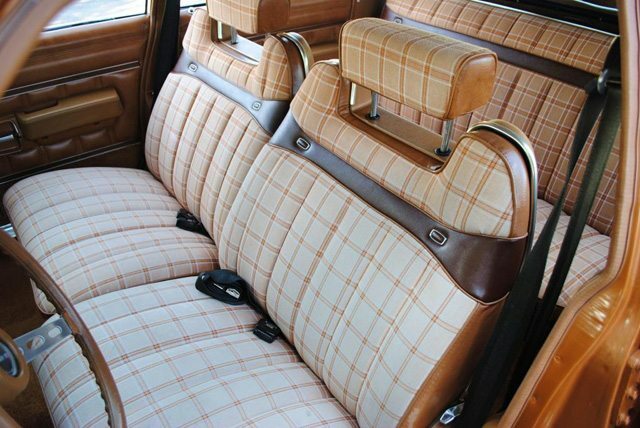 Looks like Herb Tarlek picked the interior design!